The Little Black Book Of Beatles Songs For Ukulele is a pocket-sized collection of the Beatles hits, presented in chord songbook format for Ukulele. Each song comes with chord boxes and full lyrics. 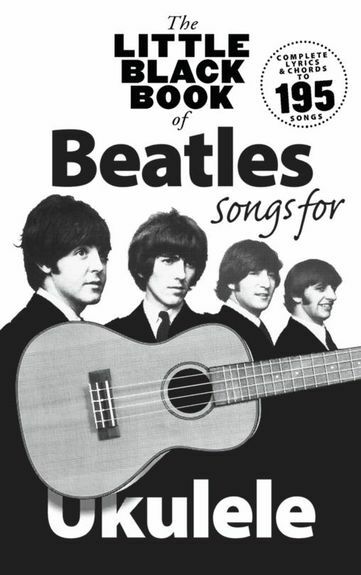 This songbook contains sheet music with complete lyrics and chords to 195 songs, including All You Need is Love, Blackbird, Can’t Buy Me Love, A Day in the Life, Eight Days a Week, Eleanor Rigby and more.